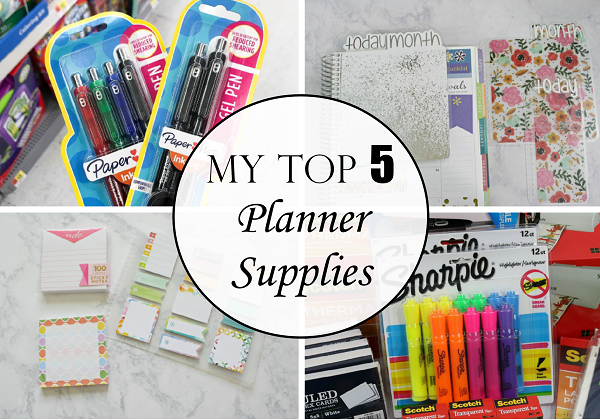 The following is a guest post about her top 5 favorite planner supplies from regular contributor, Kristin at The Gold Project. I thought last month’s post was going to be my last one on the topic of planning. Then, I realized I had talked about my planner and how to store planner supplies, but I never talked about planner supplies in general. And, I couldn’t move on to a new topic without sharing my favorites. 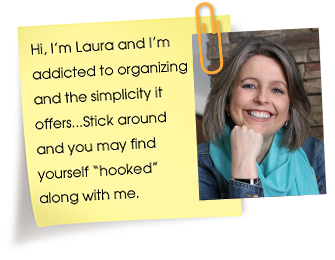 See the links to all my other posts in this planner series below. Over the past couple of years, I have switched planner supplies many times. Some things I thought I was going to love and then, they just didn’t work out. Others, I loved immediately. For example, if you are talking about a pen, there is a lot more that comes into play other than the way the pen looks. So, it has taken me awhile to find a pen that meets all of my expectations. These are the best pens I have found. I was really loving the Staedtler Fineliners, but I noticed that the tips of the pen just didn’t hold up very well. It could just be me because I write extremely hard and dark, so give them a chance if you like more of a marker type of pen. The InkJoy Gel pens feel nice in my hand and they write very smooth. Plus, they do not bleed through my Erin Condren life planner pages, which is the biggest plus of them all. 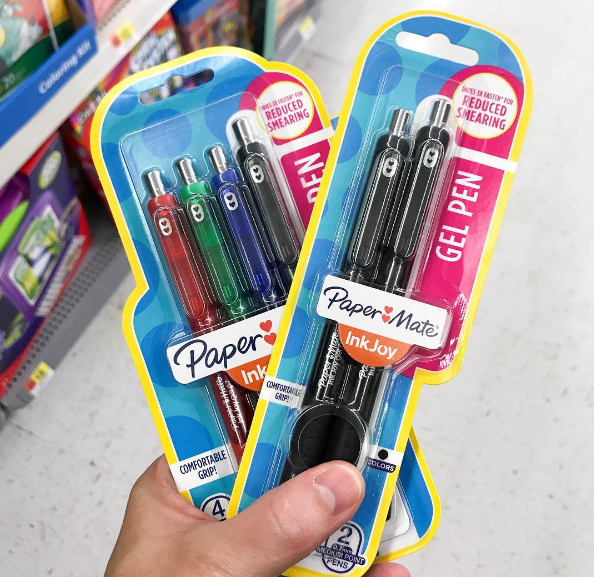 I will say that I prefer a black pen over a colored one, though. I usually buy the multiple packs of the black InkJoy Gel pens and they last a long time. I don’t know about you, but I do not like to have to hunt for the month and week that I am currently using in my planner. I want to be able to find my spot rather quickly, especially if I have a random thought that I need to write down immediately before I forget it. That is where the Ashy Leigh Designs tabs come into play. 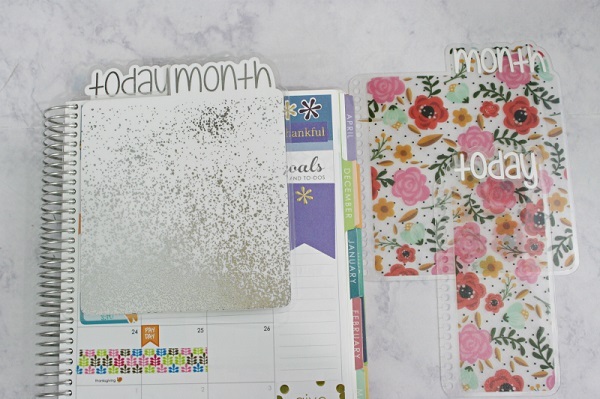 She has month and year tabs for many different types of planners. I have 3 different sets that I switch between during the year, depending on the color scheme of my planner cover. 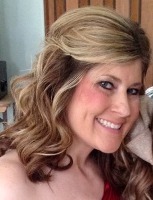 They snap into your planner just like the Erin Condren interchangeable covers. I am continuously making mistakes in my planner. It is truly a working document. 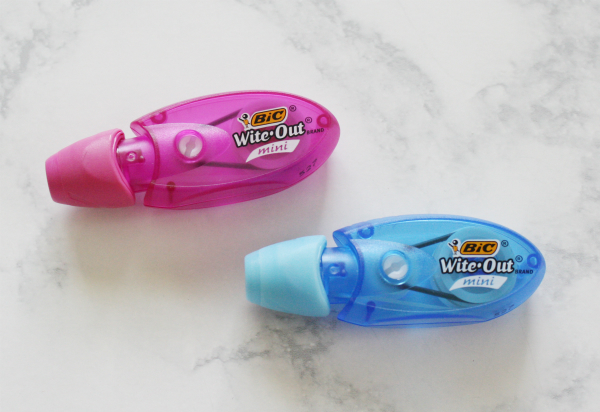 I can tell you that I have had to use wite-out 3 times on one future date because I keep changing my posting topic. And, for those times, my mini Wite-Out tape runner is a life-saver. You might wonder why I said mini instead of the original size. The original size does not have a cap or a way to protect the tape in your purse. I only use that kind at school because it stays in my desk, so I don’t have to worry about it getting damaged. The mini actually has a screw top, so you can twist the tape up when you are needing to use it and twist it down when you want to store it. I am not sure why they don’t do that with the original as well. I am a huge fan of sticky notes. I always keep a stash with me in my bag at all times. I have the small size to mark video and blog post topics in my planner and then I have the larger ones to use as daily reminders. Yes, I write to do things in my planner and on sticky notes. It sounds confusing, but it makes sense in my mind. Last, but not least, has to be highlighters. I haven’t found one brand that I prefer over another, but I use them daily and they are always with me. I like to highlight tasks that I have completed on my to do lists rather than check mark them off. Using a highlighter makes them easier to identify and it really stands out when I open my planner. 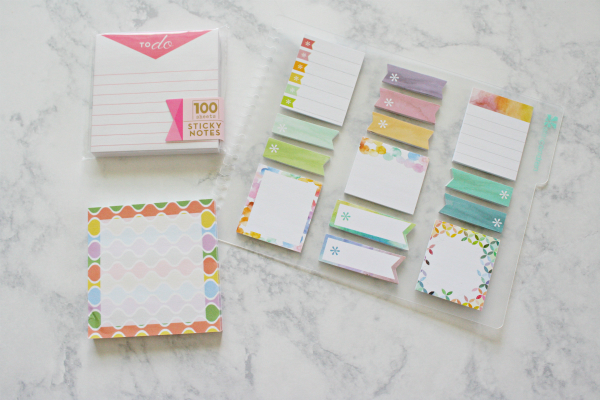 I would love to hear your favorite planner supplies. 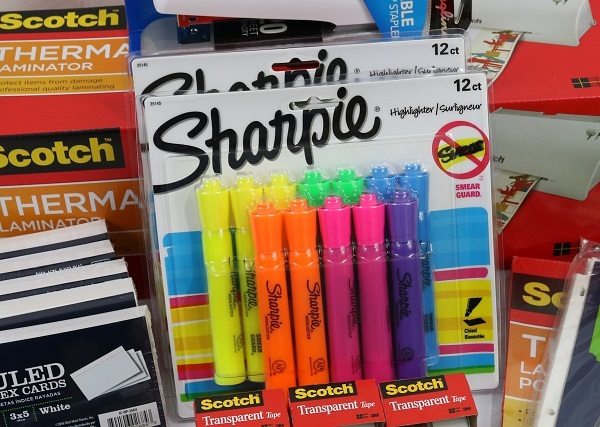 Hi, I like the frixion pens and highlighters, they erase quite well and no need for white-out. !